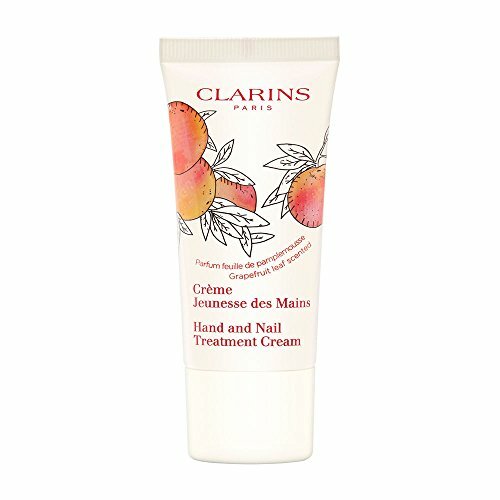 Clarins Hand Nail Treatment Cream Grapefruit Leaf Scented 30ml/1.0oz: Buy Clarins Manicure Pedicure Tools - Clarins Hand Nail Treatment Cream is a lightweight, non-oily emulsion formulated to moisturize and soften hands while strengthening nails. It helps protect against the drying effects of external factors (cold, hard water, etc.) tomuze visible signs of aging. Its non-sticky and non-oily formula immediately absorbs and does not stain. Item Condition: 100% authentic, new and unused. Clarins Hand & Nail Treatment Cream Grapefruit Leaf Scented 30ml/1.0oz. View More In Cuticle Creams & Oils.